Looking to interact, promote and track each students active reading? Look no further! 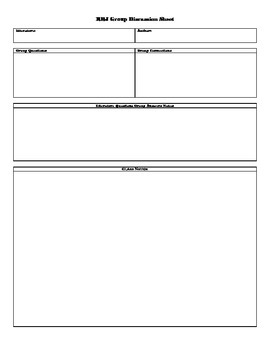 This handout will allow you to model active reading for your students and comfortably allow the students to practice with each reading assignment you assign. The RRJ asks the students to create their own questions and to answer questions that either the teacher assigns or that other students have created. 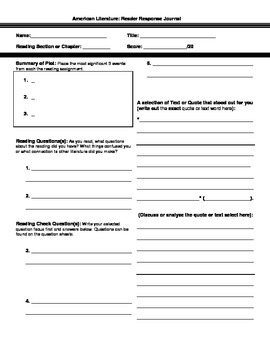 I have used this form for 8 years and it has a great track record of increasing active reading in a manageable way.